Dee Rees Bringing Flo Kennedy, Gloria Steinem, and The Fight for the Era to the Big Screen in "An Uncivil War"
Black gay prostitute Jason Holliday is rigorously interviewed on his story and character, revealing nuanced truths about life and art. In seven different segments, Godard, Klein, Lelouch, Marker, Resnais and Varda show their sympathy and support for the North Vietnamese army during the Vietnam war. Q: Is Born in Flames a "science-fiction" film? Even almost 20 years after its release, "Born In Flames" retains its sense of urgency and immediacy. This is due both to the energy of the performances, soundtrack and direction and to the fact that most of the women's demands in the film - including equality in the workplace, safety from harrasment and sexual crimes, and equal representation in government - still have not been met. One of the film's greatest achievements is its representation of the divisions and debates within feminism. 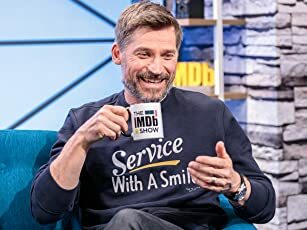 The film does not try to offer a single solution or plan of action as a definitive best way forward and so avoids tempting over-simplification of a complex set of issues. Rather than negative or unhelpful, I found this approach incredibly refreshing in a medium rife with happy endings and simple, fictional solutions. 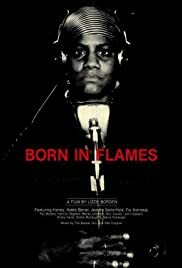 "Born In Flames" doesn't have an answer, but it has many, many questions and many, many voices. These voices and the regular delivery of discourse straight to camera and audience has regularly led to critical disapproval and claims that it is "overly polemical". I don't find "Born in Flames" overly polemical. I don't agree with many of the opinions and strategies given voice and action in the film, but I found the experience of being directly addressed by a female character on issues that are largely invisible in mainstream cinema energising and inspiring. This film won't change the world, but it made me start writing for my fanzine again and get on the phone to my bandmates to get a practice organised. Enough films, debate, writing, and noise, and we'll get somewhere. 35 of 56 people found this review helpful. Was this review helpful to you?